Before attending this production, a quick glance at the length and breadth of their proposed tour gave me the impression that this was certainly a company in demand. From Yorkshire to Essex, The Pantaloons have a “one night only” show across the country for over a month so it gives you plenty of chance to catch them somewhere, and I can highly recommend that you do. In a season where Macbeth seems to be in vogue, with the latest Fassnebender film offering (which I have yet to see, but do intend to), I felt that this comic interpretation of “the Scottish Play” was the perfect antithesis to something that is essentially a psychological thriller with a very high body count! Channelling the film noir tradition as well as the gangster genre with some stand-up comedy thrown in for good measure, the company evoked a wonderful atmosphere that involved the audience directly but still managed to maintain a believable story-telling narrative. On entering, the cast were already playing musical instruments and chatting with the audience which established the pantomime aspect of the production. They introduced the play with a song about “the curse of Macbeth”. Dressed in suits and braces, reminiscent of gangsters, the costuming helped to establish the idea of a murky underworld which worked well for the nature of Macbeth. It was a very small performance area but The Pantaloons proved how a minimal set does not mean minimal results: most of the cast had multiple roles but, through small costume changes and vocal alteration, each of these roles were clearly developed and there was no confusion over characterisation. The Weird Sisters were puppets with eerie faces which provided an apt spookiness as they were indeed disembodied creatures that were able to disappear suddenly. The company also had ingenious ideas such as using torches for headlights to mimic a car, spraying a bottle of water into the air and saying, “it was drizzling”, rustling a plastic bag next to a microphone to give the impression of rain and having Kelly Griffiths pretend to be a lamppost by holding a light above Hannah Ellis when she was narrating as Malcolm! By taking motifs such as these, that the audience are familiar with, and putting a twist on it, the humour of the situation was evoked with ease and to great effect. One instance of this was when Malcolm switched to become Narrator-Malcolm and the other characters seemed shocked by what was said and then this was countered with, “You can’t hear me, I’m narrating.” Another example was when the cast responded to real time events, such as an audience member knocking over a cup, which, despite breaking the fourth wall of performance, actually enhanced the production. The ability of the cast to retain control of the situation was exceptional as such improvisation had the potential to disrupt, or at least interrupt, the flow of narrative but they stayed in charge of the tale and the darkness of Macbeth was sustained. There were some nice touches including Ross (Alex Rivers) dusting the chair for Duncan (Kelly Griffiths) and shaving him too: it was comical yet also made the situation more believable. Alex Rivers switched between being Ross the dogsbody to a rather chilling Lady Macbeth and delivered the lines with a seriousness that belied the comedy of the earlier role. I felt her to be very much in control of the language and she demonstrated the power dynamic in the relationship that Lady Macbeth has over her husband extremely well. It is made evident that the couple care deeply for each other through frequent physical contact such as face stroking, but it was also revealed to be a disturbing force that in the end, propels them to commit murder. Darkness and light were put to great effect in this production: a shadow of a dagger was seen to be present during Macbeth’s famous soliloquy of “Is this a dagger I see before me?” and as different cast members were on different sides of the stage, it seemed as if Macbeth was surrounded by this dark presence. This was carried through into the second half where a lot of the action was played out in torch light which emphasised the ideas of sleep, danger, secrets and confusion associated with the darkness. Sound effects and music were also put to good use with chilling keyboards running through high and low notes in a disturbing fashion, wood blocks, “owl” screeching, drums for footsteps all helped to increase the tension during Macbeth and Lady Macbeth’s speech after they have executed their plans. I actually felt my own heart beating which goes to show how the atmosphere was intensified and this was also reflected in the pace of the speech of the characters. Re-entering with red gloves on to symbolise the bloodshed, Lady Macbeth began to speak far more quickly, whereas Macbeth slowed down to the point he sounded dazed and drunk. Lady Macbeth seems to be genuinely frustrated with her husband and the pair engage in what can be seen as a real domestic argument, albeit on this occasion on the rather more surreal subject of the murder they have just committed. The Porter (Kelly Griffiths) managed to engage the audience (all the more entertaining as certain people were obviously more responsive than others at being involved directly) and cracked several groan-worthy jokes which were well received. The humour was heightened by the fact that Macduff (Neil Jennings) responded in a deadpan and uninterested manner to any attempts the Porter made to be funny. Macbeth also manages to undercut Macduff’s tale of how horrific things have been by simply saying, “rough night” which injected an element of humour to the otherwise very solemn narrative. The re-enactment of a busy train station to signify Malcolm’s journey away from Scotland was well planned out and once again added a wonderful touch of realism to a play that often becomes quite supernatural. The improvisation of using the earlier stories from the audience members as “news” hawked by the paper-seller at the station was great. Having a completely incoherent tanoy changing the train departure platform at the last minute from 1 to 33 also elicited laughs due to the fact that we can all identify with the situation. There were exquisite moments of bathos in this production delivered through wonderful lines such as “Banquo, park the motor” and “Macbeth lurked outside soliloquising” which was a great way to set up the scene and really struck a chord with anyone that has ever studied Shakespeare and wondered why all these brooding characters seem to be talking to themselves! Christopher Smart delivered a suitably conflicted Macbeth with a commanding stage presence: at one point coming right into the audience and almost touching several people while he is delivering his speech which draws individuals into empathising with him. The lines were delivered convincingly and Macbeth’s mental turmoil is established well and we see him waver over the decision to kill. During the second half, the Porter brought round shots of wine for the audience and gave us lines to involve us in the banquet scene. This was clever as it meant that as Macbeth suffered his mental breakdown of seeing Banquo at the meal we were exposed to it as guests at a party and it made it seem all the more uncomfortable. There was further amusement derived from the saxophone player being shot to shut him up and then he shuffled himself off stage along the floor which caused the audience to laugh and was also accompanied by one of the cast saying “Don’t encourage him!” which just made it all the funnier. A special commendation goes to Neil Jennings’ portrayal of Macduff hearing the news about the murder of his wife and children as his reactions were incredibly well acted and his distress was made clear through anger as well as an almost tearful response that was not over exaggerated. The final fight scene between Macduff and Macbeth was incredible and extremely well choreographed to the point I felt it was so realistic it made for uncomfortable viewing. Concluding with the “curse of Macbeth” song that they had started with, the cast managed to make a well rounded narrative of an age-old tale by infusing it with interesting and inventive modern twists. The pantomime techniques add an air of spontaneity and thus means that each performance will be unique in some way which adds to the charm of this company. Go and see it…if you dare! The Welsh Marches, Marchia Walliae, or Y Mers in Welsh, constitute an extensive area around the boundary between England and Wales. This border country, in its breadth and somewhat hazy demarcation, defies precise definition, and invites fluidity of ideas and perception. The Marches are both a place in their own right, and an approach to somewhere else; they form a site of great natural beauty but also of historic political contention. Norman conquerors used these lands to subdue the native Welsh, as well as to create a jurisdiction separate from the English crown. Shakespeare represented them as a wild, rebel landscape, full of magic. The Marches were the imaginative home to a number of seventeenth-century poets who were interested in exploring the boundaries between material and spiritual experience. Their work forms the main focus of this conference. Equally important to our discussions will be the ways in which this poetic tradition has been updated and reinvigorated by Welsh and English poets in more recent times. This conference seeks to explore the relationship between the early modern ‘metaphysical’ poets and the Marches that provided them with both material and imaginative landscapes. What influence did this place and its collective consciousness have on poets such as George Herbert, Henry Vaughan, Thomas Traherne and John Donne? How did these poets express an understanding of boundaries, power and resistance, and an appreciation of the beauty of the natural environment that informed them? How did their poetry speak to the aesthetic, religious, philosophical and political movements of the seventeenth century? How have the Marches, and indeed these poets, influenced modern poetry, helping poets to find new ways of describing and influencing a world beyond borders. 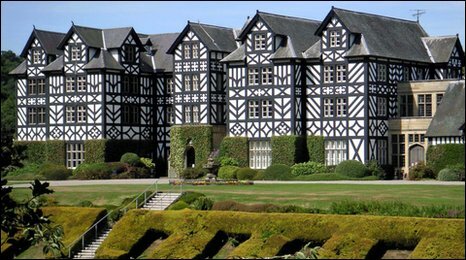 The conference will take place from the afternoon of Thursday 29 October to the morning of Sunday 1 November 2015 at Gregynog Hall, the historic house which is also the conference centre of the University of Wales. Gregynog is itself located in the Welsh Marches, near Newtown in Montgomeryshire, and is set in its own extensive and attractive grounds. It will form an appropriate and conducive setting for the discussion of the Marcher Metaphysicals. We invite e-mail submissions for papers that explore the historical contexts, influences, and links shared by the seventeenth-century metaphysical poets, pursue fresh readings of their poetry or work critically with more recent British poets who have followed their tradition in negotiating geographical, linguistic, political or spiritual borders. The conference organisers also welcome submissions from poets and other creative artists inspired by the Welsh Marches and actively exploring the idea of ‘borders’. For 15-20-minute papers, please send a 250-word titled abstract; for a complete 3-4-person panel, please send an overall title and individual 250-word titled abstracts for each paper; for creative presentations, please send a 250-word description indicating any other introductory materials (PDFs, CDs, DVDs) that the conference programming committee might then request for evaluation. Please indicate Marcher Metaphysicals 2015 in your subject line and include a 1-page CV giving an e-mail and a regular mail address. You should also indicate any expected audio-visual needs. Find out more about forthcoming productions in the UK at Touchstone. Alun Thomas (Cardiff University) has reviewed two productions of Shakespeare in Wales recently. Click on the links below to read the reviews. Coriolan/us, National Theatre Wales and Royal Shakespeare Company, Dir. Mike Pearson and Mike Brooks, 8 August 2012, at Hangar 858, RAF St Athan, Vale of Glamorgan, Wales. Read here. 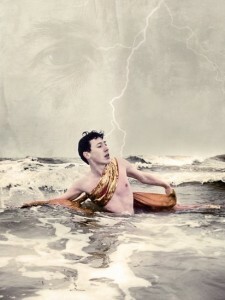 Y Storm or The Tempest, Theatr Genedlaethol Cymru, Dir. Elen Bowman, August 7 2012 (matinee), at National Eisteddfod Maes, Llandow, Vale of Glamorgan, Wales. Read here. Alun Thomas is a PhD student at Cardiff University. The title of his thesis is ‘The Making and Remaking of History in Shakespeare’s History Plays’. Read the rest from Jon Gower on the myShakespeare website.